The Baltimore Orioles. Stop motion animation. Two of my favorite things in the world. 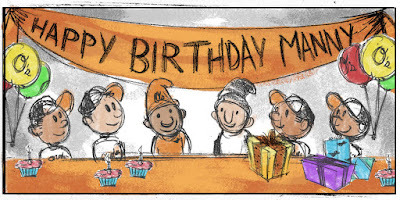 My yearly animation for the Orioles remains at the top of the list of am-I-really-working-or-is-this-all-a-crazy-dream jobs. But somehow it was about to get much better. After seeing a creative Dodgers promotional video for Adrian Gonzalez Bobblehead Night (more VFX than stop motion) and an excellent Twins promotional video for Josh Willingham Bobblehead Night (no stop motion at all), I figured that I could make something for the Orioles in the same vein. 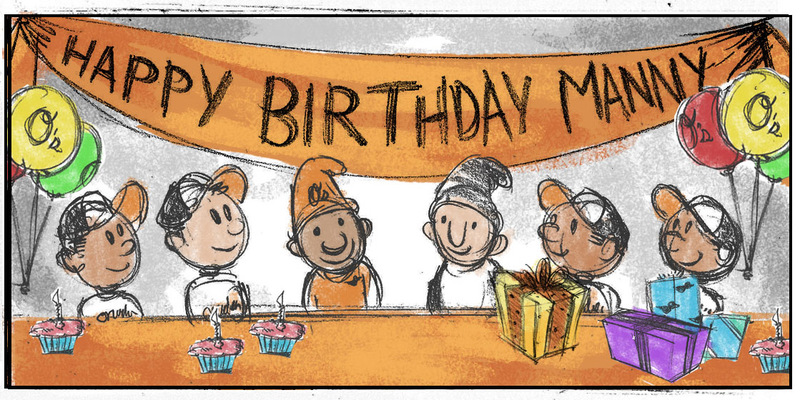 I mentioned this to the folks at Orioles Productions and they were immediately enthusiastic. 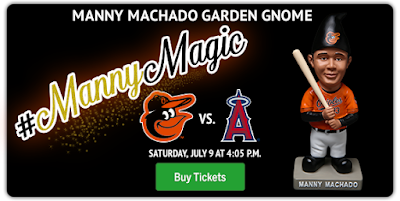 It just so happened that there was going to be a Manny Machado Garden Gnome Night three days after Manny's 24th birthday and the O's wanted a video to celebrate both. John Sumner (my perennial partner in crime on these spots) and I started brainstorming. John drew up some simple boards and I submitted them. The scoreboard team said the designs look great... but where was the script? Script? Yes, I'd be writing a script where several current players on the Orioles would voice their animated bobblehead likenesses! If there was a way to top the thrill of the yearly scoreboard animations, this was it! Can you spot Wild Bill Hagy's hat? Detail on a party game. The Baltimore Sun, WMAR Channel 2, and WJZ Channel 13 and The Score did some coverage of the video! WMAR buries the lede that Machado is now apparently a pitcher.